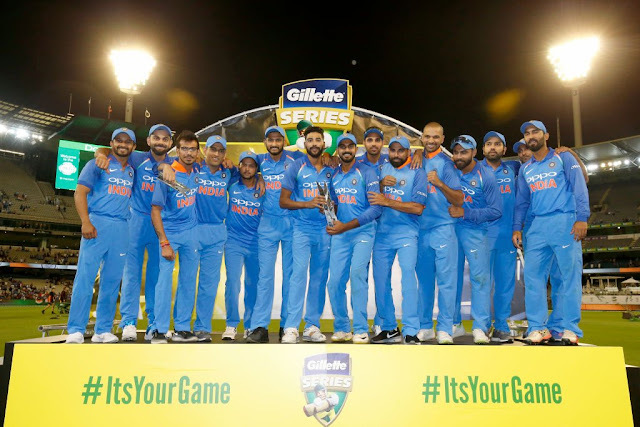 India's tour of Australia ended on a high note as the Indian team clinched their maiden bilateral ODI series in the country beating Australia 2-1 in the three match series and in the process also became the first visiting cricketing team to return from Australia without losing a single series. The Indian team had first drawn the T20 Series 1-1 as the second T20I in Melbourne had ended with no result because of rain. The T20 Series was followed by the Domain Test series which the Indian team won, beating the hosts 2-1 in the four match series. 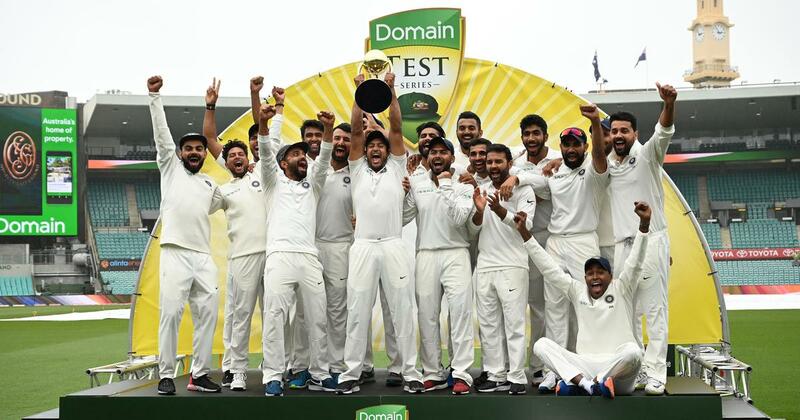 By doing so, the Indian team scripted history by registering their first ever Test series victory on Australian soil and ended their 71-year-wait. Besides that, India's series win meant that they became the fifth side after England, West Indies, New Zealand and South Africa to register a Test series victory in Australia. Barring the second Test in Perth which the Australian team won by 146 runs, the Indian team were dominant through out the Test series. Having won the closely fought first Test in Adelaide by 31 runs and the third Test in Melbourne comprehensively by 137 runs, the Indian team had taken an unassailable lead of 2-1. They were in a great position to win the fourth test as well when they scored a mammoth total of 622 for 7 in their first innings (thanks to Cheteshwar Pujara (193) and Rishabh Pant (159 not out)). They then bowled out Australia for 300 in the first innings (thanks to Kuldeep Yadav who picked up 5 wickets for 99 runs) and enforced the follow-on. 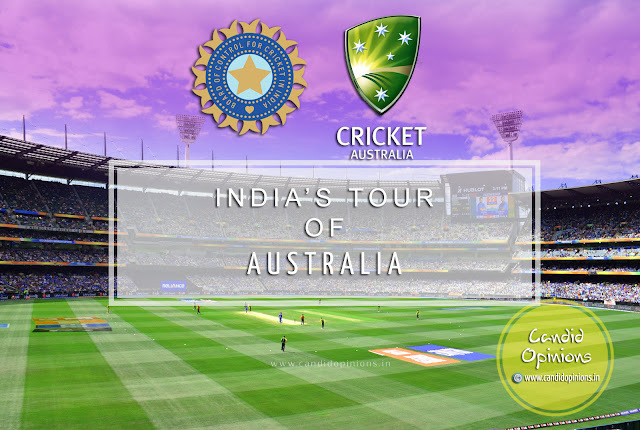 But unfortunately rain and dark clouds prevented the Indian bowling attack from making any inroads into the Australian batting line-up a second time around as only 25.2 overs were possible on day four when play was called off due to bad light. The fifth day's play too was washed out by rain and thus the Indian team had to do with a victory margin of 2-1. Nonetheless it was a very well deserved overseas Test series victory for India. This test series win was made possible largely because the batting clicked most of the time (the major contributor being Cheteshwar Pujara), giving the Indian bowlers enough runs to bowl freely. The Indian pace bowling attack has grown into a potent force over the last couple of years and had performed exceedingly well both during the tours of South Africa and England, bringing their team to match winning positions several times, only to be let down by the team's batting. But this time around, Cheteshwar Pujara was the difference. Time and again, he blunted the much vaunted Australian pace attack with his mammoth stays at the crease, tiring up the bowlers and then scoring freely. That apart, the absence of David Warner and Steve Smith due to the 12-month bans imposed on them for the Newlands ball tampering scandal, also weakened the Australian batting a great deal. Other than the Perth Test, the Australian batting couldn't click at all in any of the other test matches. Pujara was the standout performer from both sides in the Test series in which he scored three centuries and thus deservedly won the Man of the Series award for his 521 runs at an average of 74. It's hard to believe that only a few tests ago, Pujara had been dropped from the test side! The other stand out performer was Jasprit Bumrah, who almost seemed like picking up a wicket every over! He was superbly supported by his other bowling teammates - Mohd. Shami, Ishant Sharma, Hardik Pandya, Kuldeep Yadav and Ravinchandra Ashwin over the four tests. The Indian team couldn't get a winning start in the bilateral ODI series, losing the first match to Australia by 34 runs at the SCG Sydney but fought back to win the second and the third matches at Adelaide (winning by 6 wickets) and Melbourne (by 7 wickets) respectively. In the third match at the MCG, Melbourne, India successfully chased down 231 (thanks to Dhoni for his unbeaten 87 off 114 balls and Kedar Jadhav for his unbeaten 61 of 57 balls) after leg-spinner Yuzvendra Chahal had run through the Australian batting line-up with a career-best 6 for 42. Dhoni was adjudged the Man of the series for his hattrick scores of half centuries, two of which contributed to India's victories. Now in the last leg of his career, Dhoni is no more the dasher or the finisher that he once was but he still remains a vital cog in the wheel for the Indian team, admirably playing the role of anchor, although at times his slow scoring rates have put pressure on his batting partners. However it is very unlikely that he would be replaced by someone else in the world cup line up.